Swing through the Tito’s Lounge for a custom cocktails, giveaways and outdoor games courtesy of Punch Bowl Social. The Tito’s Lounge is your festival oasis located in the park pavilion between the Hilltop and Backwoods stages, just behind the volleyball court. Look for the Tito’s Airstream! This area is 21+. Skip the parking headache, bike to the festival and let our bike valets look after your ride. For Holler on the Hill, you can safely park your bike right next to the main entrance to the event thanks to our partnership with Pedal & Park. We’re excited to announce this amenity will be available for all MOKB Presents Summer Concerts at Garfield Park. Roll right into the Pedal & Park bike parking directly next to the main gate, off of the Southern Ave entrance to the park. Once you park your bike, you will receive a wristband that ties you to your bike. Bikes are stored inside of our secure fenced area. Simply show your wristband and one one of the volunteer bike valets will help you to your bike. 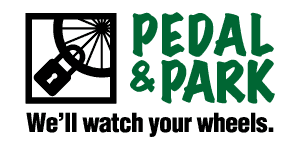 Pedal and Park is free for all attendees, however tips are appreciated to for the volunteers running this area. Pedal and Park is open from 10 a.m. – 10:30 p.m for each day of the festival. All bikes must be removed by 10:30 p.m. Holler on the Hill and Pedal & Park partners are not responsible for lost or stolen bikes as a result of leaving them overnight. Holler on the Hill & MOKB Presents are proud members and supporters of IndyCog.